In what could be a crushing blow for animal welfare, Wyoming Gov. Matt Mead signed a bill into law on Thursday that resembles the "ag-gag" legislation plaguing the country. Though "anti-trespassing" bills like these profess to protect farmers from threats to their business, there is concern they could become gag orders on agricultural whistleblowers. Mead claimed in a statement that "the legislation is aimed at protecting and strengthening private property rights and has nothing to do with animals or animal cruelty," and the Humane Society Of The United States expressed "hope and trust" that his claim is correct, but noted to The Dodo, "The public outcry about the potential impact on animal welfare is further proof that Wyomingites, and Americans in general, are deeply concerned about the treatment of animals in industrialized agriculture. Citizens want more transparency in our food system, not less." And some groups expressed concern with the legislation. "We think the law will still impact undercover investigations at animal agriculture facilities and therefore is an ag-gag law," Paige Tomaselli, senior staff attorney for the Center for Food Safety, told The Dodo. "The law criminalized collecting data about the way animals are raised and potential food safety violations via undercover investigations. This has a chilling effect on undercover investigations." ... would make it a crime to collect "resource data" - which could include not only photographic or video evidence of animal cruelty, but also the simple observation of animal cruelty - on private land without permission. The legislation also renders any such "data" wholly inadmissible as evidence in court - except if used to prosecute the whistleblower who obtained it. State Rep. Ruth Petroff (R-Jackson) proposed an amendment that would exempt animal welfare whistleblowers from the law's reach, but the state House rejected it. 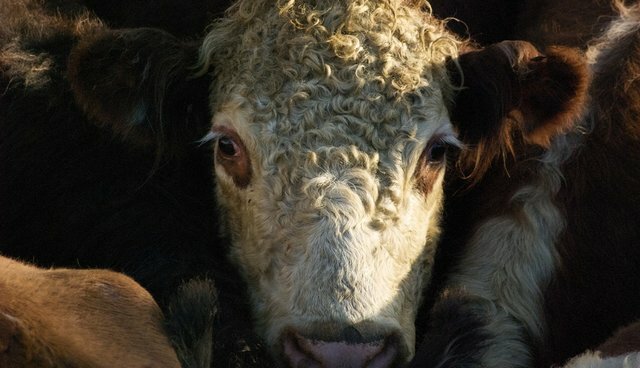 In practice, even if it's not intended to target animal welfare activists, legislation like this Wyoming bill can effectively bar whistleblowers and journalists from revealing details about factory farming operations - even if those operations are inhumane or violate food safety, labor or animal welfare standards. Several states already have ag-gag laws on the books, and this latest move by Wyoming could be bad news for the state's animals. As recently as 2013, a Humane Society of the United States investigation led to a Wyoming pork producer employee being convicted of animal cruelty. The investigation revealed a number of abuses, including workers kicking piglets "like soccer balls" and punching and kicking mother pigs who wouldn't leave their babies. Under twisted ag-gag laws, the person who reveals such abuse could be jailed - and the farm animals left voiceless. This article has been updated to include a statement from Gov. Mead and a statement from the Center for Food Safety's Paige Tomaselli.